Shopping Etsy NY in Person! For most shopping Etsy online is the only way to get your favorite handmade items. But more and more Etsy sellers are breaking into brick and mortar retail stores across the country. Check out a few of our own Etsy NY team successful sellers rocking it in the real world! Brooklyn Owl can be found at many local NY retailer and across the US including Annie's Blue Ribbon General Store in Park Slope, Brooklyn. They create whimsical and creative party items can''t be missed including Unicorn Horns and garland! You can find Tamara Garvey's illustrations at Holly's Co-Opp Shop in Greenpoint, Brooklyn as well as craft markets throughout the NYC area. 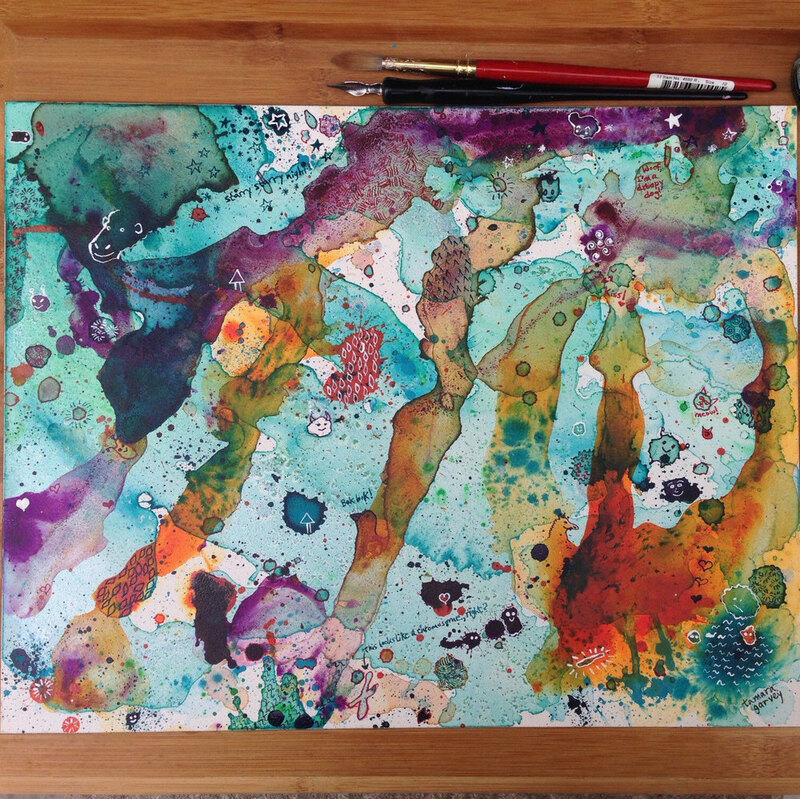 She creates a number of products including prints, cards, original art, iPhone covers, Moleskines, & personalized stationery. All made from her whimsical and nature-based pen-and-ink illustrations these make perfect gifts for any occasion! Get a head start on your winter and holiday shopping this weekend before the chill sets in! 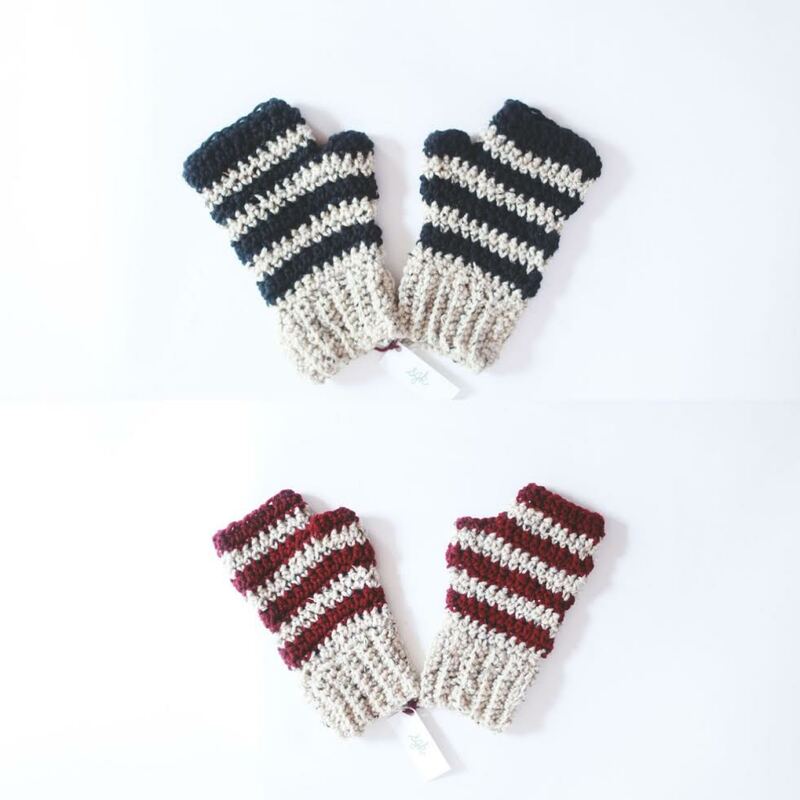 Brooklyn-based Etsy shop owner Emily of Slope Girl Knits will be selling her line of cozy handknit and crochet wear and decorations at this exclusive trunk show at Woods Grove in Cobble Hill, Brooklyn on October 24. Visit the store from 11am to 4pm to find infinity scarves, wrist warmers, ornaments and more! Custom requests are also welcome! Bugged Out is another talented Etsy NY team member who sells at the New York Botanical Garden, Shop in the Garden. Their fruit and vegetable line was originally designed exclusively for them and available online as well! If you find yourself on the west coast, you can find my very shop Amberlee Isabella Home now available at Sausalito Stationery in Sausalito, California! 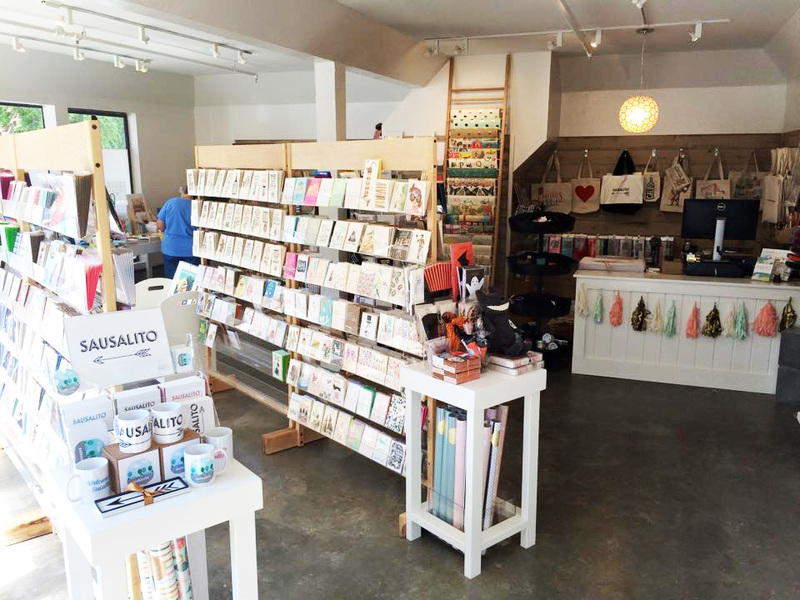 Just outside of San Francisco, Sausalito Stationery carries several custom Amberlee Isabella Home products including totes, postcards and mugs and artwork. For me it's always such a pleasure to create custom products for both customers and retailers! 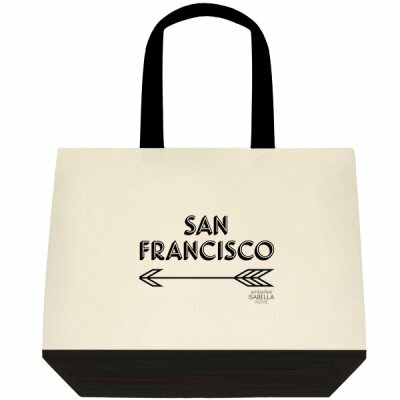 Do you shop local Etsy products in your city? Maybe you're a seller expanding to brick and mortar? If so we'd love to here your story below!